As a person trying to eliminate sugar from my diet, my biggest challenge has been missing that feeling of an indulgence—a reward, if you will—in the form of a sweet treat. As a result, I will do fine without sugar for a couple of weeks and then I’ll be seduced by a chocolate croissant or buttery biscotti, or some other irresistible confection. (Ahhh!) Vietnamese cinnamon from Penzey’s has helped. This is the only cinnamon I have found that is both sweet and flavorful. I add it to my coffee, sprinkle it on oatmeal, or dip apples in it. It is naturally sweet without any sugar and satisfies my sugar craving. Recently, I have discovered that cardamom, even though it isn’t sweet, gives me that indulgence feeling that I crave. I now make cardamom and cinnamon coffee every morning, dip apple slices in a mixture of the two spices for my after lunch treat (sometimes with some sunflower butter for a real indulgence), and drink cardamom cinnamon tea after dinner. I had no idea before today that cardamom has huge medicinal benefits, so maybe there is a reason why I am craving it. Among other things, it is a natural diuretic, aids in digestion, detoxes the body, is anti-bacterial, inhibits cancer cells, helps with sore throats, and the list goes on. (More here.) Did you know it is the second most used spice in the world? (Pepper is #1.) That is hard to imagine since it is rarely found in recipes here in the US, except in cookies and cakes. You can add cardamom to a myriad of savory dishes, especially Middle Eastern and Indian. It’s great in rice, or sprinkled on your muesli or oatmeal. We have a coffee shop in Encinitas that serves cardamom coffee, and it was at this coffee shop that I discovered my obsession with cardamom. 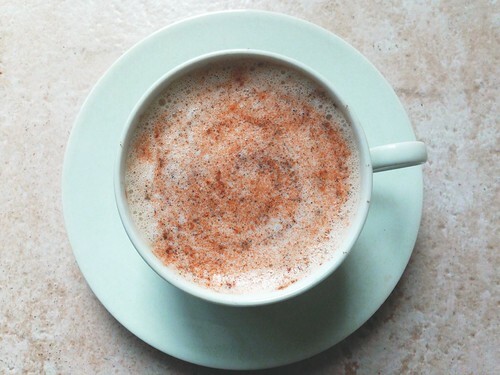 Theirs has sugar in it, which is traditional, but I experimented around at home and found that heating the ground cardamom with unsweetened soy milk (or whole milk if you prefer) gives the most cardamom flavor, and adding cinnamon sweetens it. 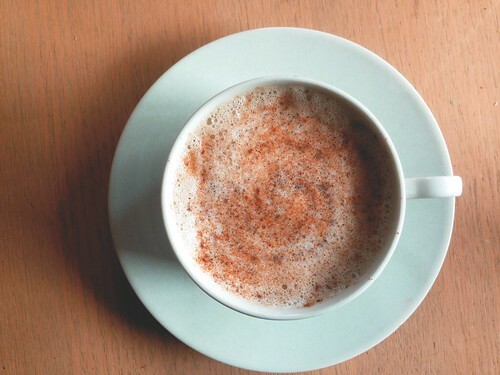 (If you have a cappuccino maker at home, you can use the milk steamer to heat your milk and will have the added bonus of the froth.) For best results, crush or grind the green cardamom seeds (without the pods) in a mortar and pestle or spice grinder as the cardamom oils deteriorate quickly and loose their pungent flavor. 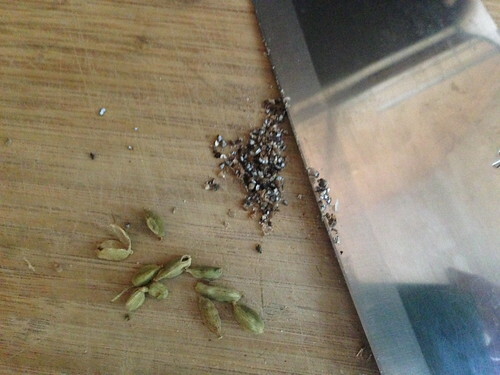 Or, if you have access to a boutique spice store, you can use their freshly ground cardamom. Add milk to freshly brewed coffee, about 1:1, or to taste. 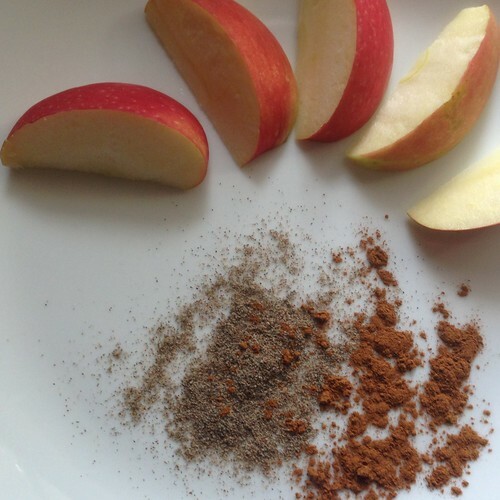 Dust top with a generous amount of cinnamon.